Eddie Zarrick came up with a brilliant idea for his Jeep Wrangler by utilizing his stock bumpers and a water pump from an RV. Through these materials, he managed to pressurized running water in his Jeep Wrangler and it works perfectly! It runs off of battery voltage, it will turn on and off automatically when the tap is opened based on water pressure, and it will shut itself off if the reservoir runs dry. This modification is great for washing down tires and fenders after offroading and mudding and other more practical functions you can imagine. This stock bumper can actually hold up to seven gallons! 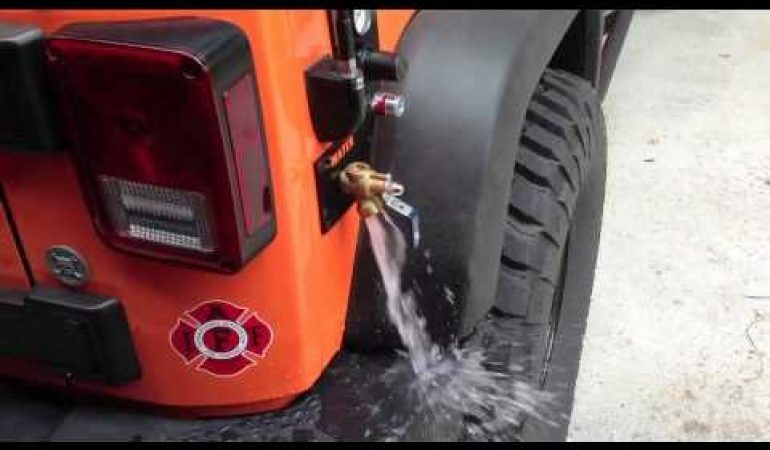 Feel free to watch the video below and see how this pressurized running water works perfectly for his Jeep Wrangler! Very clever idea indeed!